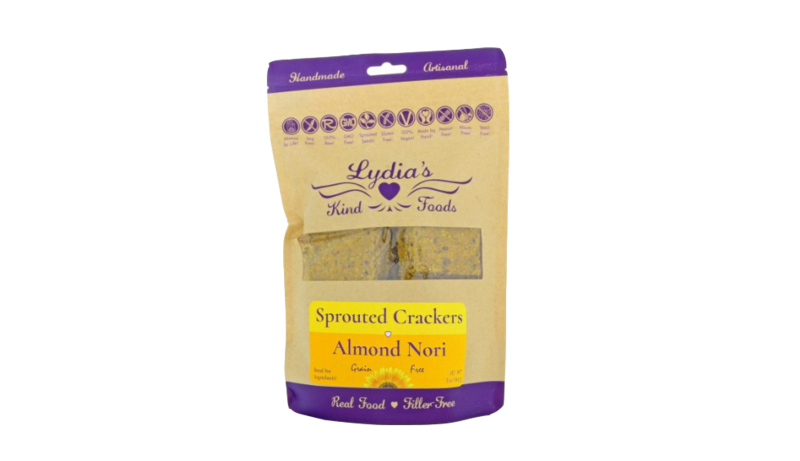 Lydia’s Kind Foods Almond Nori Crackers are a delightful, raw vegan treat made from sprouted almonds, carrots, celery green onions and nori, low temperature dehydrated to form a crispy crunchy gluten-free cracker. These are Lydia’s most popular crackers! Use Almond Nori Crackers to dip into your favorite spreads, top with hummus, or pile on the fresh guacamole. A satisfying snack!